You rely on your home’s sewer lines on a daily basis. That’s because they’re the means by which wastewater is carried from your drains, through your plumbing pipes, and to your municipal sewer system. 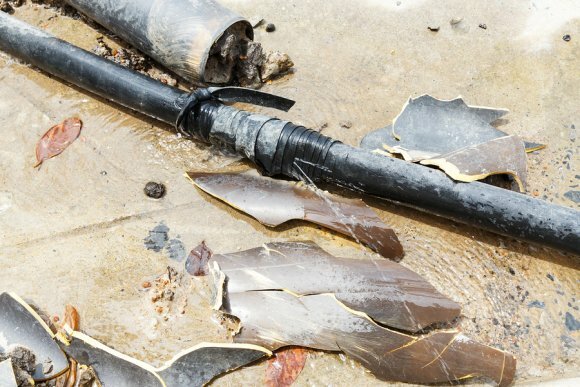 So when there’s something wrong with your sewer in Jacksonville , like a leaky pipe, you need to contact a reputable plumber as soon as possible. There are many things that can cause sewer problems. For example, invasive roots from large trees on your property can damage your sewer lines. If this is the case, your sewer lines need to be replaced immediately—you may also have to remove the offending trees to ensure that their roots won’t damage your new lines. Solidified grease or waste buildup can clog your drain and sewer lines, and cause wastewater to back up into your home, creating an unsanitary condition. Clogged sewer lines need to be cleared an experienced plumber who has the knowledge and the right tools to do the job properly. If you’re considering a kitchen remodeling project, contact the trusted and experienced remodelers at Eagerton Plumbing Co., Inc. With more than 50 years in the industry, Eagerton Plumbing is your source for kitchen and bathroom remodeling work in Jacksonville and the surrounding areas. Call (904) 302-6861 to speak with one of the kitchen and bathroom remodel experts at Eagerton Plumbing Co., Inc.
A corroded water heater fitting is a disaster waiting to happen. Luckily, replacing a rusted, ready-to-burst fitting is a relatively easy job that you can do yourself. Watch this video to learn how. Of course you can also call your plumber to perform this job for you if you don’t have the tools or the confidence to change out an old fitting yourself. If you’re concerned about your old water heater, schedule a visit from your Jacksonville plumber. Being proactive about water heater repair and replacement can save you a lot of time, a lot of frustration, and most importantly a lot of money in the long run. Look for a plumbing company that specializes in water heater repair, maintenance, and installation to get the best service and a recommendation you can trust. If your water heater is kaput, you’ll want to buy a replacement unit as quickly as possible. However, considering the cost of a new water heater and how long you’ll be stuck with it, you’ll do yourself a real disservice if you don’t research your options prior to making a purchase. You might also consider buying a new water heater if your old one is nearing or past its expected life, as this can save you a lot of time and frustration later on. Either way, here are a few things to know about gas and electric water heaters so you can make the right decision for your home. Your Jacksonville water heater installation provider can answer any additional questions you have about buying a new water heater. Gas and electric water heaters are similar in initial purchase price, and as long as your plumber doesn’t need to make any retrofits the installation cost for gas and electric water heaters is also similar. However, there are other factors to consider to get a picture of the lifetime ownership costs of gas and electric water heaters. For example, electricity (as a utility) typically costs more than gas, which means electric water heaters can be more expensive to operate and cost more over the long run. Another important factor to consider when deciding between a gas or electric water heater is energy efficiency. The efficiency of gas and electric water heaters can be compared by their energy factors (EFs), a number between zero and one that relates to how much of each energy dollar results in heater water. A higher EF indicates higher efficiency and, as a result, lower utility bills and a lower lifetime cost of ownership. You should also consider your hot water needs and compare them to the performance you can expect from either a gas or electric water heater. 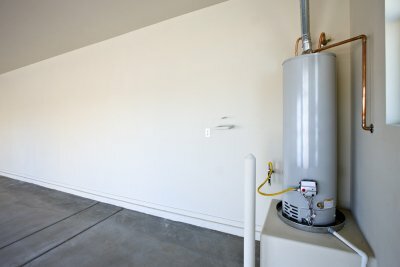 For example, if you run out of hot water quickly because different family members are showering, washing dishes, or doing laundry at the same time, consider a tankless gas water heater (also known as an on-demand water heater) that provides virtually instantaneous and unlimited hot water.